Cafe Run | Look mum no hands! Sam from Look mum no hands! Winter is when riders traditionally begin to think about hanging up their racing wheels and slowing down. For many, the highlight of the winter season is their club’s café run – a chance to chat with their mates, spin their legs, drink coffee and eat cake. It’s time to stop worrying about mileage and speed, and think about winter insulation. We decided to combine coffee and cycling with an informal ride and to give everyone the chance to win something unique at the same time. 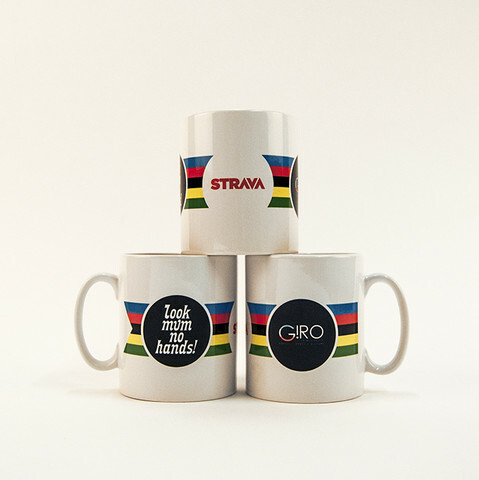 To collect a mug, all you have to do is ride your bike from LMNH to G!RO cafe (or the other way around) take a picture in each cafe and upload it to Strava (The step by step instructions on how to do that are here). Over 250 people have taken part so far. You can view some of the riders photos and videos here. The mugs are limited edition, and when they’re gone, they’re gone. Only one mug per person, and please play nicely by the rules! The ride is on until we run out of mugs. 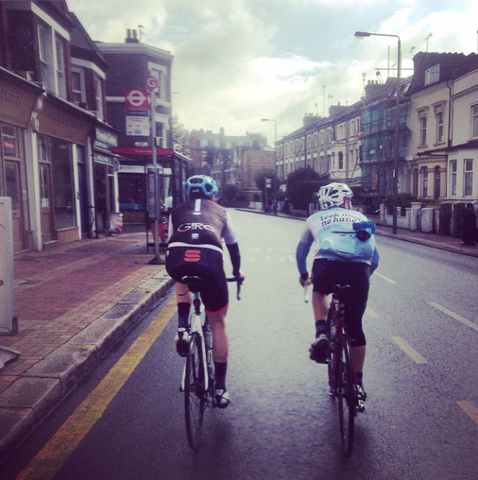 Are you new to Strava? Find out how it works and sign up here.